Teenager Aaron Betts enjoyed a sensational end to his indoor bowls season at East Lothian with the 14-year-old reeling off a glorious title treble to reign supreme as the Under-13, Under-17 and Under-25 Singles champion. Betts clinched the hat-trick with a magic display against 2016 World Junior Singles champion Joe Mower in the final of the Under-25s, defeating the Welshman by an astonishing 21-4 scoreline in a super-quick 12 ends. Finals week at the Alex Marshall Arena also saw Billy Mellors capture a record-making fourth Singles title win in five years. Mellors’ 21-16 win over former Junior champion Chris Fallen moved him one title win ahead of three-times champions Graham Robertson and Ian Bell. 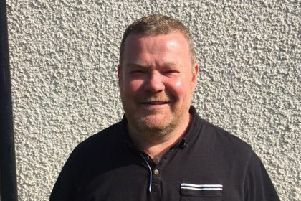 • Play in the Alpha Trophies-sponsored Edinburgh Bowling League swings into action next week and top dogs Craigentinny launch their defence of the Division 1 title with a visit to newly-promoted Queensberry. Brunstane’s fine start to last season’s first taste of life in Division 1 was a real eye-opener and, with home advantage, they will aim to get off to flying start against Maitland. Parkside take on Northern while Tanfield host Summerside. • The 2018 playing of the Edinburgh & Leith Junior Singles for the James S Fleming Trophy has attracted an entry of 55 that includes defending champion Josh Spalding of Craigentinny and reigning Tait Trophy kingpin Liam McKay of Tanfield. The duo have a bye into the first round proper with Spalding opening against Cameron Tennant of Carrick Knowe and McKay awaiting the winner between Scott McCarthur of Gorgie Mills and James Barr of Northern. Teenage brothers Aaron and Lewis Betts of Craigentinny launch their respective bid for glory in the prelim round with Aaron lining up against Logan Ramsay of Summerside and Lewis tackling Tristan Whyte of Brunstane. • Winning The Hamilton Trophy (Scottish Cities and Counties Championship) is the Holy Grail of a serving president so Ian McGill of the West Lothian Bowling Association is hopeful that manager Gordon Logan will deliver the goods in 2018. 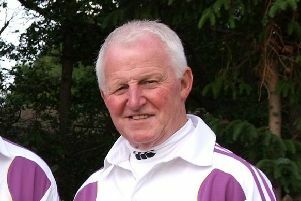 Logan – a former Scotland boss – has named a squad of 36 for the opening practice match at Linlithgow BC on Wednesday, May 2 then he and his selectors have to whittle it down to 24 for the opening East section match against Borders at Gordon BC on May 12. Rink 1: Jamie Deegan (Harrysmuir), Andi Gray (Kirkliston), Blair Mackie (Newbridge), Grant Logan (Kirkliston). Rink 2: Ewan Shearer (Linlithgow), David Ledgerwood (Buchan Park), Gary Smith (Linlithgow), Thomas Mann (Newbridge). Rink 4: Darren Pearce (Kirkliston), Paul Sweeney (Newbridge), Brian Cooper (Bathgate), and Andy Dunnett (Linlithgow). Rink 5: Jamie Edwards (Broxburn), Scott Logan (Kirkliston), Gary Orr (Linlithgow) Ray Logan (Kirkliston). Rink 6: Steven Forrest (Kirkliston) Gary Grant (Queensferry), Mark Allison (Kirkliston), Neil Speirs (Kirkliston). Rink 7: Frazer Muirhead (Uphall Station), Andy Walker (Winchburgh), Greg Logan (Uphall Station), Sandy McDougall (Glenmavis). Rink 8: Ryan Miller (Buchan Park), John Aitken (Kirkliston), Barry Sword (Buchan Park), Calum Logan (Kirkliston). Reserves: Calum Black (East Calder), Stewart Grant (Buchan Park), David Smith (Queensferry), Stewart Getty (Uphall Station).